Disordered eating is NOT a life sentence. With the right support and guidance AMAZING THINGS happen. Over the past 10 years, we’ve coached over 600 clients to help end their struggle with binge eating, bulimia, yo-yo diets and shed excess weight. My name is Ali Kerr and I suffered with bulimia nervosa for 10 years and at its worst I was binge/purging over 10 times a day. Recovery for me was a challenge. Real help was hard to find. Everywhere I turned people told me recovery would be a “life-long battle.” Frustrated, I took matters into my own hands and spent 15 months researching testing and questioning everything that was known about binge eating disorder and bulimia nervosa. During my journey to recovery, I learned a great deal about biochemistry, nutrition and the mind-body connection. I documented my findings in my books, ‘The Bulimia Help Method’ and ‘The Binge Code’. To date they are amongst the highest rated recovery books on Amazon and are recommended by eating disorder experts, doctors and charities worldwide. To date, my online recovery programs have helped over 13,000 people and now I spend my days coaching clients from all arounds the world. I want to tell you that you can fully recover from bulimia or binge eating disorder. As in 100% full recovery. You are not too far gone. You can get your life back – completely free from any disordered eating issues, just as I did. The problem is that many of us are not getting the support we desperately need for recovery. Without a system of support and accountability in place, it’s very difficult to maintain the consistent effort necessary to overcome binge eating and bulimia. Sadly many of us have no option but to face recovery alone. This is why I created the HealED Coaching Program. To provide you with the specialist one-to-one support that I know many of you are so desperately seeking. HealED Coaching is all about providing specialist, personalized, one-to-one support for Binge Eating and Bulimia recovery. Once signed up you will be assigned your own personal coach to work with. From day one you’ll find yourself completely absorbed in a new way of thinking and living. You’ll feel supported, understood and empowered like never before. Gently, at a pace that is right for you, your coach will support and guide you step-by-step to a full recovery. We help you build habits and behaviors that are sustainable and your coach will be there to support you and keep you on track. The coaching service is 100% confidential & private. You can be fully open and honest about your struggles without fear or judgement or derision (remember your coach has been there too!). Your coach will provide you with a tailored recovery plan to address your individual needs. We are proud of our extremely high success rate and we hope that you can become one of our success stories. Our coaching team is made up of doctors, trained health psychologists, amazon bestselling authors, top athletes (including Croatia’s strongest woman! ), yoga instructors and nutritional therapists. What really sets our coaches apart is that all our coaches have suffered with an eating disorder in their past and have fully recovered. They have personally been there. They have fought the battle and won the war. They speak from a place of experience and insight. From a place of truth. We believe this is what makes our coaching program so successful. You will be sharing your journey with someone who truly understands what you are going through, knows what to watch out for and who deeply understands the process of recovery. We’re are very proud of our team of coaches. As a client you will be in great hands. My name is Ali Kerr and I suffered with bulimia nervosa for 10 years and at its worst I was binging and purging over 10 times a day. Recovery was a challenge. Real help was hard to find. Everywhere I turned people told me recovery would be a “life-long battle.” Frustrated, I took matters into my own hands and spent 15 months researching testing and questioning everything that was known about binge eating disorder and bulimia nervosa. During my journey to recovery, I learned a great deal about biochemistry, nutrition and the mind-body connection. I documented my findings in my books, The Bulimia Help Method and The Binge Code. To date they are amongst the highest rated recovery books on Amazon and are recommended by experts, doctors and eating disorder charities. Now as a nutritional therapist I spend my days helping coaching clients from all arounds the world to end their eating issues. When I think back to where I was in 2004 when I had just begun my journey, I struggled to find real help and support. Back then, I would have loved to have just one place where I could “plug in” and get all the support and training I needed in one place to resolve my food issues. So that’s what I’ve created here for you. I created HealED Coaching to provide you with the specialist one-to-one support that I know so many of you desperately need. My goal, and the goal of all of us at HealED is to help show you exactly HOW you can recover from your eating disorder. That is, to help you get to a place where your body no longer craves or wants to binge or purge on food. Where food becomes just food and nothing more. This is very achievable and we’re committed to helping you any way we can. 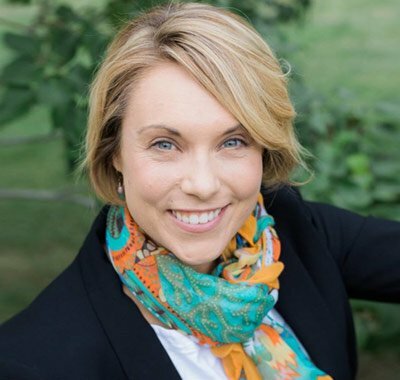 Dr. Laura Hutchinson Christoph is a personal health coach as well as a professor of nutrition. 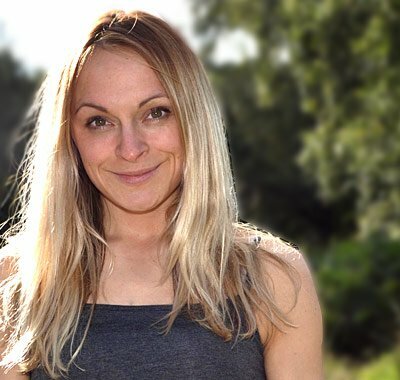 She has gone through extensive training in diet theory (including traditional and modern diet protocols) as well as traditional nutrition science training. 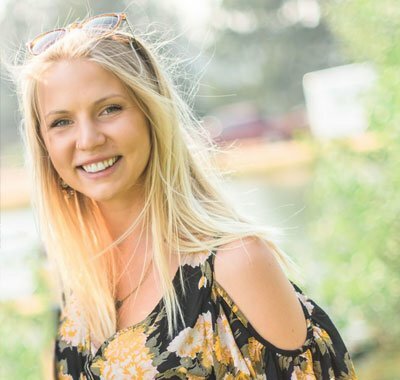 She struggled with bulimia and compulsive over exercising for over fifteen years before recovering through HealED, and is passionate about helping others free themselves from bulimia as well. 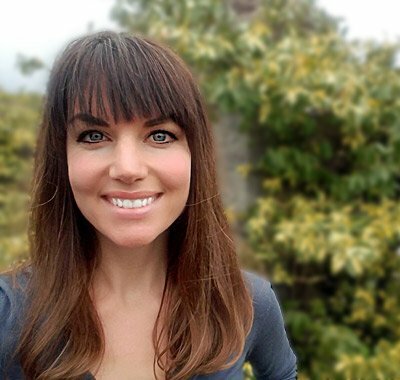 Her mission is to empower her clients to reach their full physical potential and give them the guidance they need to develop a healthy lifelong relationship with food and fitness. Hi, My name is Kimberly and I’m a coach with HealED. I am passionate about helping improve the lives of people. 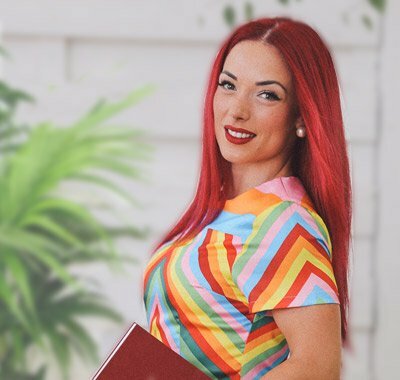 My current career path and life passion is working with improving people’s relationship with food, recovery from eating disorders and education about nutrition. My story began when I was a developing teen and avid competitive runner & cyclist. I started to struggle with food and self image. Initially it was a dislike of my athletic build that began a cycle of dieting and excessive exercise in my late teens. It evolved into bulimia and the ensuing years were crippling. By 23 I was recovered from binge eating and bulimia yet my nutrition and understanding of what fueled my body was still greatly skewed. 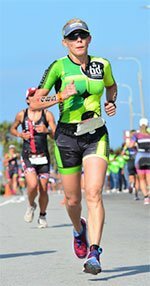 After Medical School and Residency, I began to compete again in running races and triathlons and it was here that I discovered my enormous deficit with fueling my body. In addition, as a practicing Pediatrician, I saw a huge gap in the community for young girls who struggled with their body image and eating disorders. Now, I have engulfed myself in the study of nutrition, am actively working on a certificate in fitness nutrition and have begun to incorporate this into my business. I want to help empower young women and adults alike, to accept their bodies, nurture their bodies, and fuel to perform at their peak potential. An intricate part of my own personal journey of healing was my faith. Through prayer, worship songs, inspirational scriptures and devotionals, I found hope and healing. If you would like to incorporate your Christian faith into the journey to recovery, I can incorporate a faith-based coaching style to your recovery journey. Hi, my name is Milda, I’m a HealED Recovery Coach and also a Nutritional Therapist. My own story with disordered eating lasted just over 10 years, ranging from dieting, bulimic behaviours to binge eating. Although I have spent my teenage years being a very active child and even spent a few years training and competing vigorously, I’d still wake up EVERY MORNING hating and scrutinising my body and my looks. I was constantly trying out new detoxes, diets and fads, yet I’d always come back to bingeing, shame and self-loathing. Recovery for me was very gradual and took a couple of years, partially because I was still resisting the fact that I really needed help. I’ve followed the principles of Bulimia Help Method that I heard there and there, however finding the book has really opened my eyes and made so much sense of why, what and when- if only I found it earlier! Yet, I’m a believer that everything happens for a reason and in the right time. The lessons I learnt along the way to recovery have been invaluable. I’ve immersed myself in meditation practices, teachings of yoga and wholeheartedness that helped me reconnected to my body, people around me and helped me find my identity lost for so many years. Always interested and passionate about natural living and healing properties of food, after recovering I have qualified as a Nutritional Therapist and practice with a naturopathic approach. I passionately believe that the body is capable of healing itself, if we only give it tools to do so. I am thrilled to share my personal experience and nutritional knowledge in helping others get their life back too! Hi, my name is Milijana and I had bulimia for 13 years (from the age of 12 till 25) and still remember the moment it started. I was a fat child that was bullied by other children and my family. I believed that I wasn’t lovable because I was too fat. As a result I developed a dysfunctional relationship with food and hated my body. After I was ridiculed for eating too much I decided to purge it… I thought I discovered a clever trick to finally lose weight. However I still stayed chubby. During my bulimic phase I was an athlete and became Croatia’s kickboxing champion in 2004 (we can do incredible things even with bulimia, no doubt about that). I exercised more out of self-punishment and being terrified to gain weight. At the age of 14 (after a traumatic life event) I lost 12 kg in 6 months because I ate very little, purged, ran/over-exercised every day and became a vegetarian. My hair became thin, started falling out and I was empty from the inside. 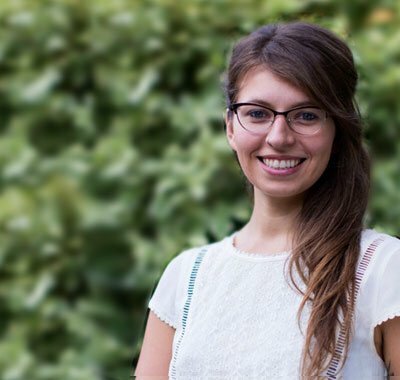 At the age of 25 I was at a very low point – still carrying trauma from the war (I was a war refugee in Germany during the ex Yugoslav war), very low self esteem, felt deep sadness… I was just in so much pain and in darkness and I didn’t know the way out. The moment that changed everything for me was the willingness to find the answers to the questions “Can I be happier? Can I begin to like myself? Can I ever be healthy and free from bulimia?” So I started looking for ways to help myself. I was willing to be helped. I started eating more regularly, five to six small meals throughout the day. I chose to follow my dreams and become a fitness instructor. I worked with a HNLP coach to help me also overcome my traumatic memories, limiting beliefs and low self-esteem. And then one day… I just caught myself that I have forgotten to binge and purge! How can you forget that?! Since I recovered fully 7-8 years ago I created a healthier me. I became champion in two additional sports – Olympic Weightlifting and Powerlifting. I even hold the title “strongest woman in Croatia” two years in a row. I’m an international HNLP and NLP coach, Kundalini Reiki Master, have spiritual certifications, am a personal trainer and feel beyond blessed to help those who are going through the same as I did. I know it’s possible with the right support. I’m just a few steps ahead but we are on the same journey. I now see my ED as a blessing and gift because I can guide others overcome it. I know exactly what they are going through and know it’s possible to overcome it. It’s time to realise that we are normal and our body is just fighting back with urges due to yearlong restrictions. This knowledge gives us proven ways to move into full recovery. The freedom and peace of mind are worth the invested time. It’s for life, a better life! Hi my name is Cat and I am extremely passionate about helping others recover from bulimia and binge eating. After struggling with anorexia, binge eating and bulimia for far too many years, I know what it is like and that full recovery is possible. I like to work closely with my clients and give them the individual support that they need. Every person is unique and I tailor my approach to suit the individual and find a recovery path that works for them. I love helping my clients build new healthy habits that can help them in all areas of their lives and guide them on their recovery. I have studied and continue to study nutrition as well as having a diploma in eating disorders and training through Heal-ED. I suffered for around 8 years and tried therapy, hypnotherapy, detoxes and everything else going. I know what it feels like to be anxious around food, not to trust yourself, to feel scared, alone, trapped and worthless. I had almost given up hope until I came across the ‘Bulimia Help Method book’ and realized I wasn’t mad or crazy and I could recover. I implemented the methods and worked with a HealED coach myself. It wasn’t easy, there was ups and downs, pushing myself out of my comfort zone, building new habits and learning to trust myself again. With help I made a full recovery and it made me passionate about helping others who are struggling and wanting to give them the help and support I got. I’ve been there but with help and support I’ve come out the other side, there is hope and you can get better and I would be honoured to support you in your journey to recovery. Hi 🙂 my name is Olivia and through my recovery from bulimia and anorexia I learned the true importance of listening and taking care of our body and mind as a whole. I believe in the methodology written in the Bulimia Help Method and in The Binge Code, and I have a passion for helping others that are struggling. I am thankful for my own recovery and how it has uniquely given me a space for connecting with others in a way that better supports them through their own recovery. Beginning in my late teens and on through the beginning of my college career I struggled with what started out as a diet, that turned into anorexia, and then snowballed into bulimia. It stuck with me for years, and even though it didn’t look like it from the outside, I was slowly killing myself and what I wanted as a life. I hated what I was doing to my body. I was ashamed. I wanted to stop, but had become so addicted to having bulimia there as my bad friend. It wasn’t until I had finally fessed up and found accountability for myself to get better. I wanted to be well. I wanted heal. I was ready to surrender to the process and recover for the life that I desired to have, without my eating disorder. I was ready, and I did it. I took my life back. And I know that you can too. As I was going through recovery, the further I went through the more I knew that I wanted to help those struggling with an eating disorder, because I know how dis-habilitating and sucking away from life it can be. When I recovered, I went to a new school and got a degree in Health and Wellness Promotion in Asheville, North Carolina. The main emphasis for me was the importance of a holistic way of health. Stress reduction, food as medicine, and the mind-body connection has become one of my main principles of living. I have conducted research studies focused on eating disorders among athletes and issues about negative self-image and have learned the prevalence of this disorder out there and want to benefit this area and de-stigmatize the way that eating disorders are often seen in the public eye. 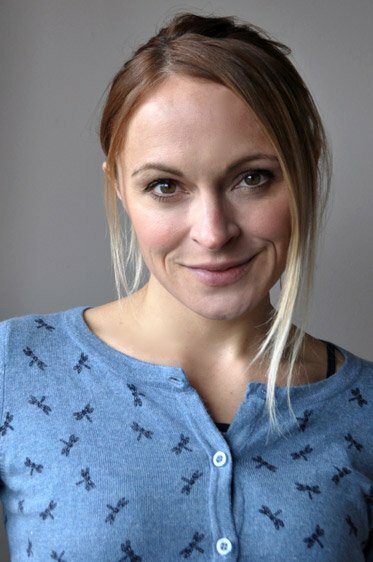 I have a 200 hour Yoga Teacher certificate and am passionate about mind-body practices in how they can aid recovery and carry you on through the rest of your life. I deeply believe that we should look at wellness holistically from the physical and physiological ways of our bodies to our mental and social wellness as well. I find joy in traveling, experiencing different cultures, cooking, creative expression, being outside, and being active whether on my yoga mat or in the gym. I believe that activity fuels our states of being well as long as we fuel our bodies well. I am here to guide you through the methodology of the HealED, be a listening ear, and a support during this journey. I can provide you with my own unique coaching style so that you can connect with someone that has been where you are, and I can fit what your needs are for helping you through your journey. I am looking forward to working with you! 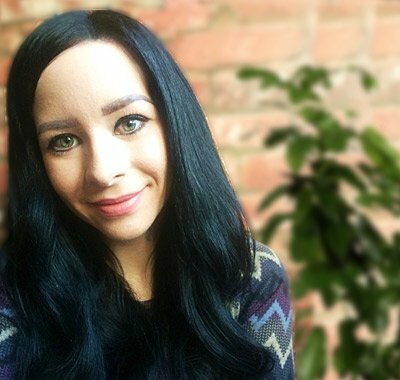 Hi, my name is Catherine, I’m a trainee Psychologist working towards chartership and I have been using the HealED Methodology to successfully coach people to recovery from bulimia and binge eating since 2011. I specialize in providing recovery coaching via email and I have been blessed to be a part of so many incredible recovery success stories over the years. I’ve worked with clients from 18-68 years old and this has taught me that no one is ever beyond help, no matter how long they have suffered for. It’s safe to say that coaching others through recovery is my one true passion in life, however, my connection with disordered eating runs much deeper still. Before I became a HealED Recovery Coach, I had personally battled with disordered eating for most of my life. 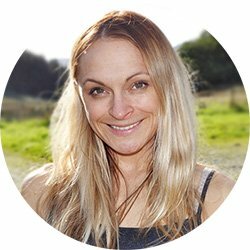 I began binge eating and dieting in early childhood and I went on to suffer from Bulimia for over a decade before finally achieving full recovery thanks to the HealED methodology. One of the things I love most about coaching here at HealED is that I get to share the exact same recovery methodology that I personally used to recover with my clients. This is the program that literally saved my life and I believe in it 100%. If you are ready to start living the life of freedom that you truly deserve then I am here and ready to believe in you 100%! As a coach I work hard to ensure that I create a recovery environment for my clients built on trust, compassion and honest communication. I know that opening up about your eating disorder to someone else can be one of the hardest things to do but I when you’re talking to someone who really understands what you’re going through you will quickly come to realize there is absolutely nothing to fear. 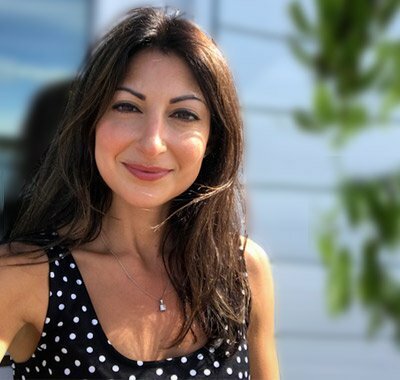 Having finally broken free from disordered eating I would be both honoured and delighted to use my experience, knowledge and expertise to help you continue on your journey towards full recovery. Hi, my name is Jen Knaebel, a recovery coach for Heal-ED. I’ve worked with Ali and Richard for nearly half a decade as a recovery coach. After my own recovery, I went on to earn my Master’s Degree in Social Work from the University of Tennessee. I believe that my own struggles served to prepare me for helping others, which gives me clarity and a sense of peace about my painful past with bulimia. I’ve developed a unique coaching style that combines elements of my formal training with aspects of my own recovery. I fully understand that each person is unique, so what works for one person may not always work for everyone. During coaching, I collaborate closely with each client to tailor your recovery plan to your own unique circumstances. Having a baby and a toddler at home, I’m very familiar with the challenges that parenthood presents in recovery. I’m also very passionate about body image and the role that media plays in our self-image. 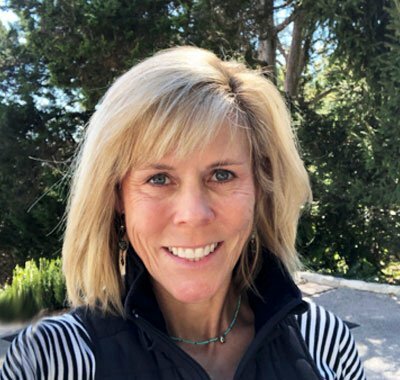 My other passions include yoga, skiing, hiking and mountain biking, and I value the use of physical and creative outlets to benefit overall well-being. I encourage my clients not to wait for recovery to be the person they want to be, but go ahead and start living and enjoying life now! I also believe that you are more than just ‘a bulimic’ but a complex person who happens to have bulimia, and are fully capable of recovery. I consider it a great honor to be part of so many recovery stories! 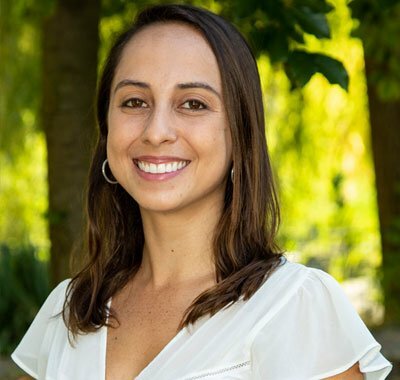 My name is Marcela, a very passionate dietitian, HealED Recovery Coach and ballet dancer. I am excited to guide others to find the best version of themselves, loving and enjoying life. I enjoy giving guidance to develop a healthy and friendly relationship with food, that is why I have dedicated so many years to study nutrition. During my journey, I have learned that all food groups are needed and a balanced diet includes all types of food. I am passionate about accompanying people to reconnect with themselves and others, having food freedom, becoming mindful and practicing self-care. All of us have struggles, but I believe we can learn from them and become stronger if we know how to handle them. My goal is to encourage people to have a positive lifestyle, full of joy and light. Each person is unique and I know we all have something amazing to bring to the world. My coaching will be according to each person’s needs, as all of us are different physically and emotionally. I am here to support you and listen to you in your journey of getting control over your life and finding the beauty inside you. It would be a pleasure to get to know you and share the HealED recovery method. Decide to start today if you haven’t done so! Every step you take now, no matter how small, brings you closer to your goals. Here Are 12 Ways HealED Coaching Can Help You Overcome Binge Eating and Bulimia. Over the years HealED coaching has proven to be remarkably effective for bulimia and binge eating recovery. We are honoured by our high success rate. No one understands the recovery process better than someone who has been through it themselves and here at HealED all of our coaches have recovered from eating disorders in the past. This means they are able to offer you deep insights and personal knowledge that is second to none. When you have someone in your corner supporting you, guiding you and inspiring you, you feel more empowered, confident and strong. You are better able to take bold steps forward, to push yourself outside your comfort zone and to face the fears that have been holding you back for so long. HealED Coaching allows for true collaboration. Your coach will work with you to ensure your recovery caters to your individual needs. If you wish, you can combine coaching with other therapies and treatments. Here at HealED your coach will never force you to do anything against your will, ever. This is YOUR recovery. HealED Coaching is “action based”. We focus on simple, practical recovery strategies that are proven to work. Your coach will help you to break recovery down into small, manageable goals. This way you can move through your recovery at a pace and speed that is right for you. It’s easy to get lost in recovery but with a coach constantly monitoring your progress and providing ongoing feedback and support, it is much easier to stay on track. Living with disordered eating can be a very lonely experience. With no one to talk to and no one who really understands what you are going through it’s easy to feel isolated and alone. Your HealED Coach will offer you a sympathetic ear, listen to your fears, understand your concerns and be there when you simply need another non-judgemental human being to open to. Everyone experiences setbacks in recovery. This is normal and to be expected. Rather than letting a setback knock you off completely, your coach will be there to pick you up, dust you off and get you straight back on the path to recovery. Your coach can help you recognise and cut through any limiting beliefs or attitudes that could be holding you back. HealED Coaching is a safe space where you can feel comfortable expressing your honest thoughts and feelings. This is the one place where you don’t have to pretend any longer. You can be fully open and honest about your struggles without fear or judgement or derision (remember your coach has been there too!). Recovery is meaningless unless it can be maintained and sustained. Your coach will focus on building sustainable habits and behaviours that will promote lifelong recovery. Isn’t it strange how easy it is to break the promises we make to ourselves but less so when we involve other people? Your coach will serve as an accountability partner to help you stick to your recovery plan. By breaking down recovery into simple steps and by guiding you each step of the way, you get results. We are extremely proud of our high success rates. We hope that in the future you can also join in and become one of our success stories! “If you want to improve your self-love and self-confidence and simultaneously move towards making a full recovery then the Coaching program can help you do that (I sound like I’m off one of those Danoz ads hahaha), but truly I did find so much value in joining the Coaching program”. For many, this can be a MAJOR stumbling block towards recovery. Please feel assured your weight will NOT spiral out of control. In fact if you follow the system carefully your body will naturally settle at the optimal healthy weight that is right for you (without you having to even think about it). It doesn’t matter if you had bulimia for 2 months or 20 years, recovery is possible. Although, we must stress that the sooner you seek help the better, as the longer you wait the more ingrained the behaviors can become. For 46 years until recently I’ve been a bulimic. That’s a long time to be anything. Now I am sixty. I have seen more doctors and been in more programs than you can imagine, all to no avail.I signed up to coaching and was assigned my coach. A kinder, more encouraging and more knowledgeable person I cannot imagine. She led me out of a fiery inferno to a place where the anguish stopped and I could heal my wounds.I believe my respect for her unwavering care and commitment was a major part of my recovery. Also every other facet of the program, but she was my rock. I am not the same person I was. Now I am accomplishing things I had worked so, so, so hard for my whole life, only to splat myself on a brick wall of failure.HealED Coaching has literally saved my life, physically, mentally and in that elusive portion of our psyches, the soul. I am so grateful, I cannot in any way express the depth of my feelings. If you are suffering, sign up. Every part of the program will help you, and the support is unlimited. Take it from an old timer, it is the best of the best. What’s included In HealED Coaching? 1. Weekly Coaching Session with a HealED Certified Coach. Every week you’ll get a 40 minute, one-on-one, private coaching session with your coach on the phone or via skype. On the coaching session you will review your past week, discuss your challenges and your coach will provide you with advice, feedback and may assign you homework for the week ahead. If you feel uncomfortable talking on the phone or are too busy for scheduled phone calls, you always have the option to provide a written check-in each week to your coach instead. You can email your coach directly at any time, on any issue relating to your recovery. Your coach is only ever just an email away and is always on hand, ready to provide their support, guidance and expertise. You will have full access to the HealED Support Community. Hundreds of like minded people, working together to uplift and support each other in their journey. This is a great place to share and be inspired. 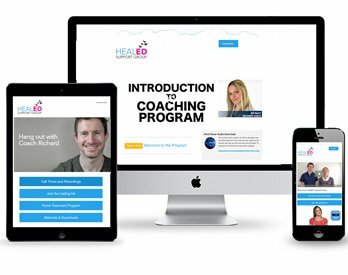 On top of that you will also have full access to our online Facebook support community, the HealED Coaching platform and full range of recovery videos and support tools. We take your privacy seriously.￼ We will not send anything to your home address. ￼ The words “Bulimia” “Binge Eating” or “Eating Disorders” will not appear on credit card/ paypal statements. Within a few short weeks following this program, you’ll notice a reduction in your binge urges, that will only get better and better in the coming weeks and months. If you do not feel you the Coaching Program has made a significant impact in your life you can cancel at any time. Your monthly investment which includes your weekly 1-on-1 coaching, full email support, homework assignments, your recovery plan, access to the online portal and a wide range of recovery tools is $297 a month. That’s just $62 dollars a week. We wanted to make this program as affordable as possible. Compared to other coaching programs our fees are extremely reasonable. Coaching demands a great deal of time and dedication and it involves a degree of emotional investment and honesty that tends to transcend most typical jobs. Each month your coaching investment is automatically renewed, however you are free to cancel your coaching membership at any time. There is no long term commitment whatsoever. It’s very important to us that you are happy with the coaching service we provide, so although you do pay for your first month of coaching when you sign up, we do provide a seven day refund policy. This means that if you’re not happy for any reason (or no reason at all) within the first 7 days, you can request a full and immediate refund, no hassle, no questions asked. All we ask is that you are serious about giving coaching a real chance before signing up because your coach will spend a lot of time getting to know you and working on your personal recovery plan in the first week of your membership. We are currently accepting a handful of new clients. Since each coach works on a 1 to 1 basis we are limited to how many clients we are able to accept. Which coach package should I choose? Email Coaching is ideal for those who like to write. So if you’re generally more comfortable writing down your thoughts and feelings rather than talking about them this is a great option for you. Email coaching is also ideal for busy people as there are no set appointments. Even if you are extremely busy you’ll find that it takes no time at all to send your coach a quick email (using your phone if you wish) whenever you have 5 minutes free. Phone Coaching is ideal for those who prefer to communicate directly with someone regarding their eating disorder and are more comfortable openly talking about their thoughts and feelings. “For the past decade I have helped people just like you to recover from bulimia and binge eating. From the diversity of people and success stories I have witnessed during this time, I can tell you without a doubt that no one is beyond help. There is no such thing as being too weak or too broken to break free from binge eating or bulimia. Q: How long do I need to be in coaching for? Q: Who is the program for? You are ready to put your recovery first. Are you ready to move forward and let go of your destructive behaviors. Are you willing to confront food fears and explore outside your comfort zone. You understand HealED Coaching is not a quick fix solution to recovery – it takes time and commitment. You are aware that the HealED Coaching is not a weight loss program, it is a recovery program. Finally, as places to work with coaches are very limited, the coaching program is only for those who are genuinely committed to their recovery. Q: Who is coaching NOT for? Feel suicidal or suffer with severe depression. Are not medically stable and need intense medical treatment. Are under 18 years old. If your BMI is very low (e.g less than 18.5) or you have been diagnosed with anorexia. Have been pushed into recovery treatment by someone else. Q. How many clients do your coaches have? Our coaches can only work with a limited number of clients at any given time. They strive to provide every one of them with their full, undivided attention and care. Q. How do I pick a coach who’s right for me? You don’t have to pick a coach yourself if you don’t want to. We’ve designed a simple questionnaire that you’ll have to fill in after signing up to our program. Your answers will enable us to match you with the coach who fits your needs perfectly. Q. Can I change my coach if I want to? We know from experience that most of our clients are extremely happy with their first coach. We also know that some connections just don’t work out and are ready to match you with a new HealED recovery coach if you’re unsatisfied with your present one. Simply let us know if that’s the case – it’s important for us to see you succeed. Q. Can I choose my coach? Yes. 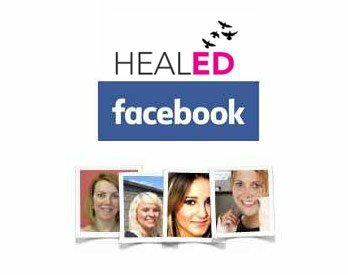 If you have a particular coach you would like to work with please email us at support@heal-ed.com and let us know. We can’t always promise your coach will be available but we till try our best to accomodate you. Q: Why do people need coaching? A: There’s a huge difference between knowing what to do, and actually doing it. Nothing beats having an expert who is 100% committed to your success from start to finish. Someone who’s always supporting you, holding you accountable, and always there – every step of the way. And if you fall of track, they will be right there with you to help you recover right away. That in itself makes all the difference. Q: Do you accept clients based in American and Australia? A: Yes. I have clients based all around the world. Anyone is welcome to apply – however spaces are limited. Q: What is the difference between a Coaching and Therapy? A: Therapy focuses more on analyzing your past behaviors and introspection. Coaching focuses more on moving forward and taking action. Q: Is there a cost involved in the program? A: Yes, there is a monthly fee of $297. A: Not a problem. We also offer packages where you can submit weekly written check-ins to your coach instead of weekly phone calls. We find many clients prefer this service. If this is something you would prefer simply let us know once you have signed up. Q: What is your typical client like? A: There really is no ‘typical’ person who signs up to our program. We have worked with clients from all across the globe, both women and men, ranging in age from 18-67. The only thing that is typical about the people who sign up to our program is that they are all sick and tired of living with bulimia and they are ready to make changes in their lives. Q: Have people fully recovered with the help of coaching? A: Yes! We have witnessed countless success stories since we first launched our coaching program. We are very proud of our success rate and we hope you will become one of our success stories too.